The UK’s digital identity industry will this morning take stock of a key ministerial written statement on the GOV.UK Verify identity assurance programme by Cabinet Office minister for implementation Oliver Dowden in which he said that the private sector will take on responsibility for broadening the usage and application of digital identity in the UK. The announcement yesterday signalled that several identity providers (IDPs) have signed 18 month contracts, though it did not say how many providers there will be. The government had signalled that it was prepared to look at a future identity ecosystem that may include more than the current seven IDPs. In his statement, Dowden confirmed that the GOV.UK Verify programme will continue to provide a digital identity service to the public sector. The amount of money the government has spent on Verify is frequently quoted as £130m. But others argue that that figure is considerably less than what all the departments and agencies of government currently spend in total on identity. One senior figure told Government Computing that what government actually spends on identity, covering all the operations of identity, fraud, error, debt, how much identity costs to validate, and how much proprietary hardware and software is bought to do that is close to £1.5bn. That includes the cost of identity mismanagement, duplication of data, fraud, error, debt, security, multiprocessing, double entry and triple entry of the same data. Dowden’s full statement on the future of Verify said, “I want to update the House on the GOV.UK Verify programme, on the creation of a digital identity market, and the provision of a digital identity service to Government. “Since its inception, GOV.UK Verify has sought to create an effective standards based digital identity market in the UK. International examples point to the challenges in successfully creating a secure digital identity framework for the public and private sector. I am proud that the UK is regarded as a global leader in this space, and that the innovative assets and standards created by the GOV.UK Verify programme have been utilised by numerous international Governments. 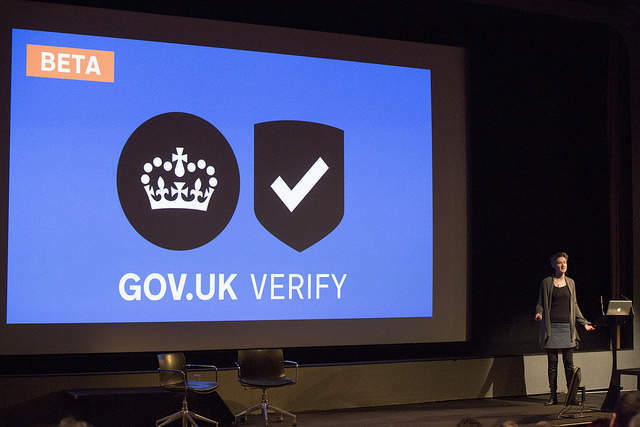 “GOV.UK Verify is now sufficiently mature to move to the next phase of its development. The private sector will take responsibility for broadening the usage and application of digital identity in the UK. “I can confirm that contracts have been signed with a number of private sector identity providers, for an 18 month period, and with capped expenditure. These commercial arrangements formalise the transition to a private sector led model. “The Government has an immediate and growing need for digital identity. As such, I am pleased to confirm that the GOV.UK Verify programme will continue providing a digital identity service to the public sector. “Poorly secured services are vulnerable to attack from cyber crime and other hostile activity. GOV.UK Verify enables citizens to securely prove that they are who they say they are to a high degree of confidence when transacting with Government online. It is a major enabler and a critical dependency for Government’s digital transformation. “The Government will continue to provide state backed assurance and standards to ensure there is trust and confidence in the emergent digital identity market. The Government expects that commercial organisations will create and reuse digital identities, and accelerate the creation of an interoperable digital identity market. This is therefore the last investment that the Government will provide to directly support the GOV.UK Verify programme. It will be the responsibility of the private sector to invest to ensure the delivery of this product beyond the above period. “The approach announced today ensures that GOV.UK Verify will continue to protect public sector digital services from cyber threats, including identity fraud, and other malicious activity. In addition, the contracts enable the private sector to develop affordable identity assurance services that will meet future private and public sector needs.